For high-quality, professional moving services in or around Newport News, VA call My Guys Moving & Storage. We have more than 25 years of experience providing excellent customer service to movers in the Newport News area. Our friendly, courteous staff will be happy to assist with any local (handled from Richmond, VA), long-distance or international move. 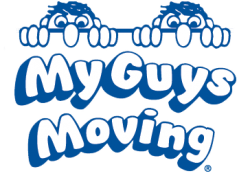 Contact My Guys Moving & Storage for your Newport News move today. The origins of the name Newport News is a topic of much local debate. The best known explanation comes from the story of a group of Jamestown settlers in the early 1600s. Many of the colonists of Jamestown fell to starvation after the winter of 1609. The remaining settlers boarded a ship captained by Christopher Newport, bound for a return to England. During the voyage, they encountered another fleet of supply ships under the new Governor Thomas West, 3rd Baron De La Warr, full of reinforcements of men and supplies. After returning to Jamestown, the community was named for the good news that Captain Newport brought back with him. Like much of Virginia, Newport News has many sites of U.S. historical and military importance. The historic C&O railroad station, as well as Civil War battle sites along U.S Route 60 have all been protected as sites of historical significance. The Virginia Civil War Museum and the Peninsula Fine Arts Center contain many items and pieces of art from important parts of U.S. history such as the American Revolutionary and Civil Wars. If you’re a history buff who’s lucky enough to be moving to the Newport News area, then you’re truly in for a treat. 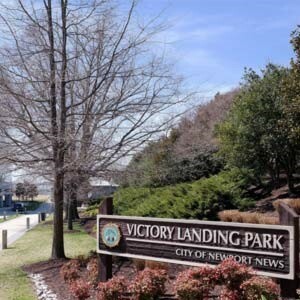 Newport News is a great city with a rich history in the Virginia Beach area. My Guys Moving & Storage has more than two decades of experience serving the needs of this diverse community. That means we have the expertise and tools to get the job done right. If you need long or short-term storage for your move to or from Newport News we have the perfect solution in our climate-controlled warehouse in Richmond, VA.
My Guys Moving & Storage of Virginia Beach is proud to serve all Newport News area zip codes, including: 23601, 23602, 23603, 23604, 23605, 23606, 23607, 23608 and 23609.